This rutabaga casserole gets its fluffy soufflé-like texture from the beaten egg whites. If you enjoy the taste of rutabaga and look for new ways to use it, you will love this casserole. For brighter color, add a carrot or two to the mashed rutabaga. With a vegetable peeler, peel the rutabaga; cut it into 1-inch cubes and place it in a large saucepan. Cover the rutabaga with water and add 1 teaspoon of salt. Bring the water to a boil; reduce the heat to medium-low, cover the pan, and cook for about 20 minutes, or until the rutabaga is fork-tender. Drain the rutabaga thoroughly and then mash with a potato masher. Butter a 1 1/2-quart casserole. In a large bowl, combine the mashed rutabaga, butter, dill, salt, pepper, and paprika. Let the mixture cool slightly. In a small bowl, beat the egg yolks and then stir them into the rutabaga. In a glass or metal bowl, beat egg whites until stiff peaks form. Fold the beaten egg whites into the rutabaga mixture. Lightly spoon the rutabaga into the prepared casserole dish. 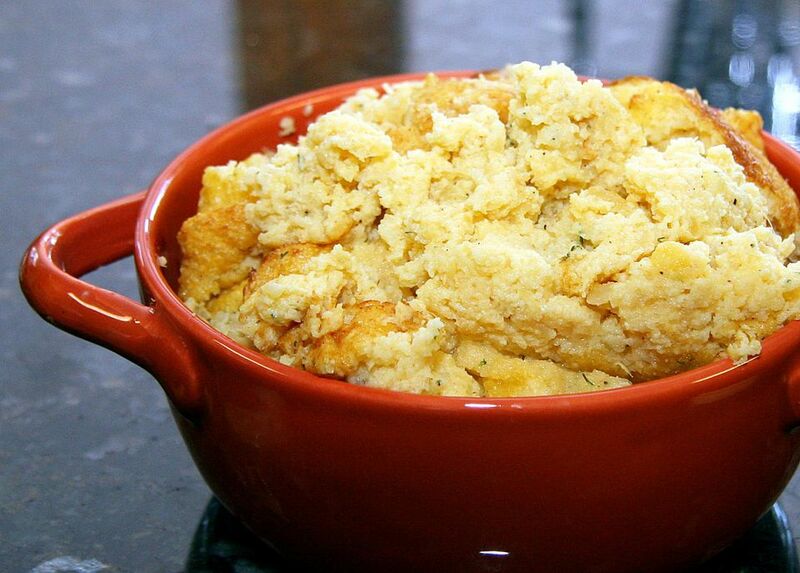 Bake the casserole in the preheated oven for 30 to 40 minutes, or until it is set and the top is golden brown. Spoon into a serving dish or serve from the casserole dish.